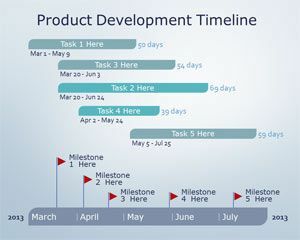 Free Product Roadmap PowerPoint Template is a free sample of timeline template that you can download to see how to make PowerPoint templates with awesome timeline designs and diagrams. 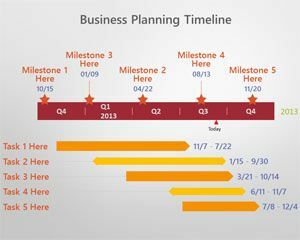 This free timeline template was made using OfficeTimeline addin and is available as a free PowerPoint presentation template for Microsoft PowerPoint 2010 and 2013. 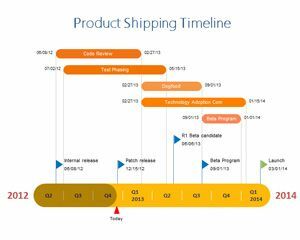 OfficeTimeline can be installed in your computer as a program addin to make attractive timelines for PowerPoint presentations. 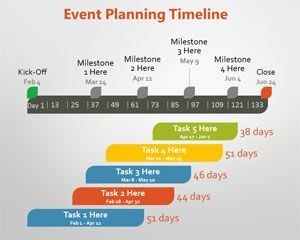 Once you choose the theme to use for your timeline, you can import the chronology with events and then apply some nice effects and styles to generate a timeline. 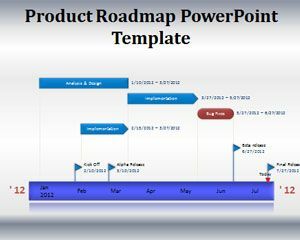 In this free product roadmap PPT template we show you how to make a product roadmap PowerPoint template with a nice timeline design. 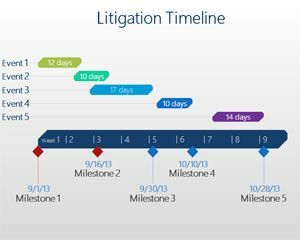 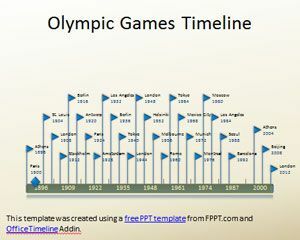 You can use this timeline design in a wide range of products and PowerPoint slides including project planning and innovation management PowerPoint presentations.